Update: These offers for the Southwest Rapid Rewards® Plus Credit Card, the Southwest Rapid Rewards® Premier Credit Card and the Southwest Rapid Rewards® Priority Card have expired. Learn more about the current offers here. It’s that time of year again. 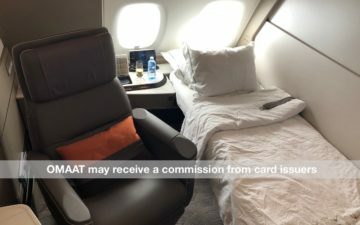 People are starting to think about their plans for the Southwest Companion Pass in 2019 and many more are thinking about how they can earn it early next year. Before we dive into that, let’s talk about the new welcome bonus. Typically, you’ll see the welcome bonus on the Southwest personal cards fluctuate between 40,000 and 60,000 Rapid Rewards points. Recently, it has been sitting at 40,000 points but it has just jumped to 60,000 — with a catch. If you’re in the market for a business card, the Southwest Rapid Rewards® Premier Business Credit Card currently has a welcome bonus of 60,000 points with a minimum spend requirement of $3,000 in 3 months. As I mentioned above, now is the time to plan for the 2019 Companion Pass. While you can earn the Companion Pass through flights alone, it’s much easier to earn the necessary 110,000 Rapid Rewards points with the help of a welcome bonus. Now, if you’re new to the Companion Pass, pay attention to this part. To earn the Companion Pass, you must earn 110,000 Rapid Rewards points in the same calendar year. This means that if you spend $1,000 in 2018 and earn 40,000 Rapid Rewards points, these points will count toward earning the Companion Pass in 2018. In 2019, your Companion pass progress will reset to zero. I can’t tell you how many people I hear from who mistakenly hit the minimum spend in December instead of January and blew their chance to earn the Companion Pass. Save yourself the heartbreak and be patient. One important change the Chase introduced this year is that you cannot get two personal Southwest cards. If you want to quickly earn the Companion Pass thanks to the help of welcome bonus, your best bet will be one of the personal cards paired with the Southwest Business Card. Of course, if you’ll take 100 Southwest flights next year, that could earn you the Companion Pass. Maybe it’s just me, but this seems like an easier path. Why get the Companion Pass? Quite simply, you get to book 2-for-1 Southwest flights with a designated companion. If you fly Southwest with a significant other or a good friend regularly, why pay for 2 tickets — with points or cash — when you could pay for 1? To bring your companion, all you have to do is pay for the taxes and fees for their ticket. If you’d like to share the Companion Pass with more than one person, you are able to change your designated companion 3 times per calendar year. It’s an amazing perk if you want to explore the United States or fly to the Caribbean, Central America or Mexico. We’re still (im)patiently awaiting the official announcement of flights to Hawaii. Remember when those flights were supposed to launch this year? What are 60,000 Rapid Rewards points worth? I’ll add that I’ve noticed a wider variation in the required points per dollar than this but these are good benchmarks to remember when you’re looking at options. For those who don’t live near major gateway airports, Southwest flights can be very useful for positioning flights before big international trips. If you’ve booked Oneworld, SkyTeam or Star Alliance awards with domestic connections, you know how much of a pain it can be to find award space on connections. This is where Southwest can really come through for you whether you’re traveling solo or with your companion. You might even decide to book your positioning flight a day or two before your international flight to give you time to visit friends. 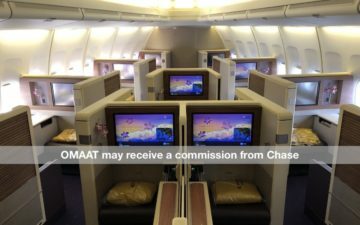 For those who have the Chase Sapphire Reserve® and have been booking Southwest flights with Ultimate Rewards points over the phone, this option is no longer available now that Expedia runs the backend of Chase travel. Which Southwest card should you get? If you would book even one Southwest with cash anyway, the Southwest Priority Card would be my pick. While it does carry an annual fee of $149, you also get a $75 travel credit that can be used toward flights on Southwest each cardmember year. Additionally, you can use 4 upgraded boardings per cardmember year. All you have to do is use the Priority Card to purchase upgraded boarding on the day of travel and you’ll board between A1 and A15. You’ll receive a statement credit within 8 weeks for the charge. No middle seat for you! You can also receive 20% back on inflight purchases such as drinks, WiFi and movies and a small bonus of 7,500 Rapid Rewards points after your account anniversary. Now, the Southwest Premier Card comes with a $99 annual fee and a 6,000-point anniversary bonus while the Southwest Plus Card comes with a $69 annual fee and a 3,000-point anniversary bonus. All Southwest cards earn 2X on purchases with Southwest and its rental car and hotel partners. Other purchases will earn 1X. If you don’t plan on booking any cash fares with Southwest, don’t think the Priority Card benefits will be useful to you or just want a lower annual, then you might want to consider the Premier or Plus version. All Southwest cards are restricted by the Chase 5/24 rule. If you’ve opened 5 cards in the last 24 months, you won’t be eligible. All personal cards are included in the count of 5 as well as Capital One business cards. Additionally, if you’ve received a welcome bonus on any of the personal Southwest cards in the last 24 months, you will not be eligible for another bonus — the business card is not included in this restriction. If you’re under 5/24, don’t have a personal Southwest credit card and haven’t received a welcome bonus for a personal Southwest credit card in the last 2 years, you are eligible. While the tiered bonus structure definitely makes earning the full 60,000 Rapid Rewards points more difficult, you’ll still be earning 5X Rapid Rewards points per dollar on the first $12,000 you spend in the first 12 months. Not even Ultimate Rewards cards with bonus categories are going to top that. Just remember, if you want to earn the Companion Pass, doing so early in 2019 is the best way to go as it will kick in right away and be good through the following year (2020). Do NOT hit the $1,000 minimum spend for 40,000 points before January if you want to do this. Of course, if you just want an influx of Rapid Rewards points, feel free to get spending on this card as soon as you get it! How do you figure you get 5x points on the first $12,000? I don’t see that as a perk. It shows 2x points on southwest. @Nick: 60,000 points divided by $12,000 produces an earning rate of 5 points per $1. I’ve been keeping an eye out for SW bonus increases – this is not new – this has been the offer for a few months (at least). written that “the business card is not included in this restriction (24-month sign up bonus)”; i didn’t know this; so, we could get the sign-up bonus from the biz cc every yr after the acct is close? 1. Returned items are not subtracted from your spending total. For example, my girlfriend purchased a purse on my card to help me get to the minimum spend, but then decided to return that purse. I expected that the return would be deducted from the spending requirement, but it was not. Since I backed out this purchase and return in calculating my spending, I charged more than the minimum spend in December 2017 and received my bonus in December 2017. 2. Merchant errors are not subtracted from your spending total. For example, I booked a hotel in Savannah for New Years eve 2017. The hotel, for one reason or another, double billed the booking. I called the hotel and they issued a credit back to my account. However, the amount double billed was not deducted from the spending requirement. Again, I spent close to the number, but the double billing pushed me over and I received my bonus in December 2017. The end result was that I received the companion pass from 12/30/2017-12/31/2018. Fortunately, I was able to get another personal card (this was before they added the one personal card limit), make some referrals, do some spending, and purchase some paid SW flights for work, so I have the companion pass for 2019 too. Learn from my mistakes. Lucky, here you’re apparently cautious against having to spend $12,000 to get the 2nd tier of points. Yet in your posts about the Capital One cards just today, you gush about a huge 150,000 point bonus after spending $50,000. What exactly are your incentives here and why are you so positive about one and negative on the other? 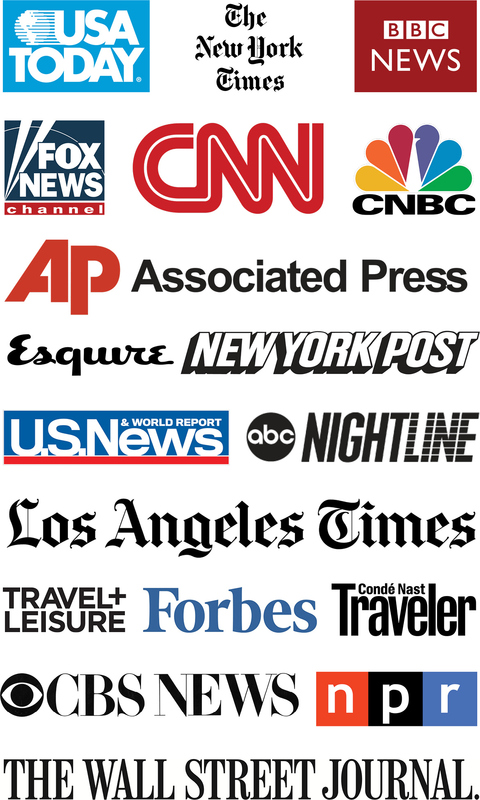 Should you be telling us more about what you’re pushing? @ erick schmitt — Well, for one, Spencer wrote this post, so there’s that, but I think we can all agree there’s a significant difference between a card with a big welcome bonus that offers 2x on everything, which can now turn in to 225k Aeroplan miles for that $50k in spending, versus spending $13k on a card (most likely at 1x) to earn roughly 73k Southwest miles. If you spent that same $50k in everyday spending on the Southwest card (please don’t), you’d have ~110k Southwest points. That’s useful if you’re trying to get the Companion Pass, but not the most efficient use of the spend. 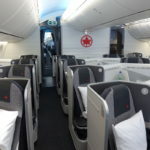 So enough points for two business class tickets to Europe (with multiple stopovers! ), versus ~$1600 worth of airfare on Southwest, seems like a reasonable enough incentive to be more enthusiastic about one offer over the other.